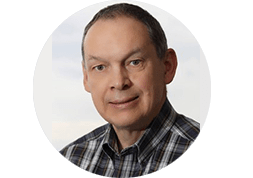 Mark Lasby has over 35 years of experience in the planning, design, construction review and contract supervision of a variety of industrial, commercial, recreational and institutional building projects. Understanding the basic principles of the seismic design requirements of industry buildings will help to elevate the efficiency of the construction of industrial structures. While referencing the National Building Code of Canada (NBCC) 2015 and Clause 27 of CSA S16-14, this self-paced, online course will help to familiarize you with seismic design parameters and with seismic base shear calculations. Additionally, Annex M of CSA S16-14 will be introduced and explained. This course is made up of two modules and contains four hours of video instruction, technical resources, as well as a quiz. Once the course is completed, and with a score of 70% or higher on the final quiz, a Certificate of Completion is issued to the learner. This 4 hour course (2 modules) presents the seismic design requirements of the National Building Code of Canada 2015 and Clause 27 of CSA S16-14 as these requirements apply to industrial buildings. Seismic base shear calculations are presented for an example mill-type industrial building in Vancouver, Edmonton and Montreal. The results of Equivalent Static Force Procedure and Dynamic Analysis Procedure (Response Spectrum Analysis) for the example building are presented and compared. The choice of Seismic Force Resisting Systems for industrial buildings is discussed and the requirements for each are highlighted. Annex M of CSA S16-14 is introduced. The provisions of Annex M extend and modify the requirements of Clause 27 of CSA S16-14 as these requirements apply to industrial structures which do not resemble buildings. Seismic Force Resisting Systems, redundancy, damping, effective mass, methods of analysis and vertical earthquake effects are reviewed. Participants would become familiar with calculation of seismic design parameters for sites across Canada using the provisions of the National Building Code of Canada 2015. Participants would become familiar with seismic base shear calculations using the Equivalent Static Force and Response Spectrum Analysis Procedures. Participants would become familiar with requirements on Annex M of CSA S16-14 as they apply to industrial structures. Engineers involved in design of steel structures to resist seismic forces. Educators involved in teaching design of steel structures to resist seismic loads.